Watch these frisky and flexible marine mammals fly through the water and interact with their trainers on the decks of the New Balance Foundation Marine Mammal Center. 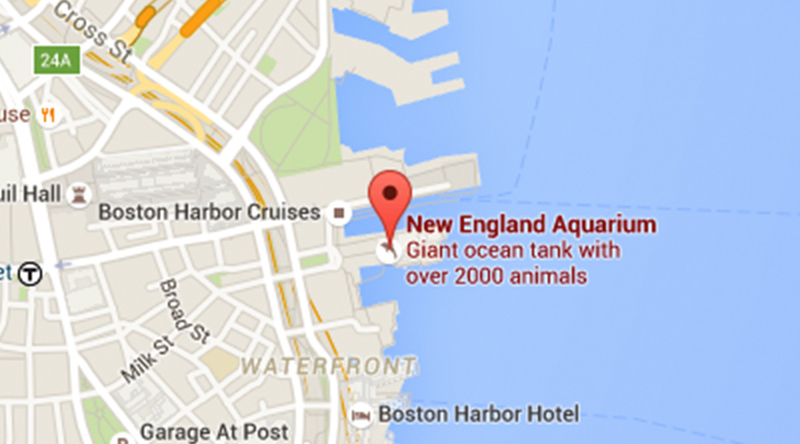 The Aquarium is one of only three aquariums in the U.S. that cares for northern fur seals. 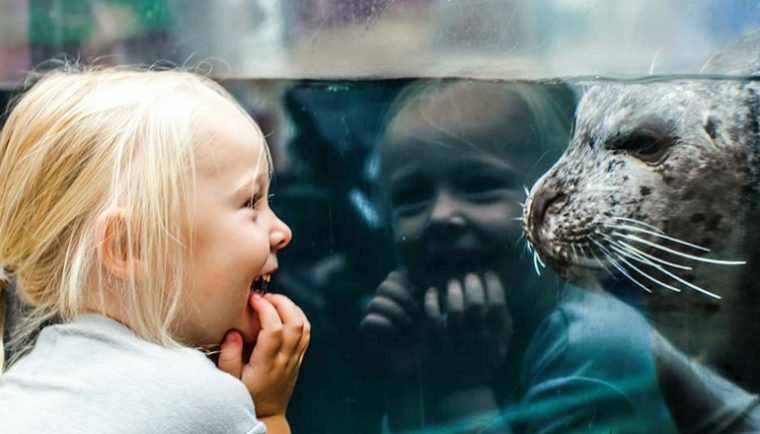 Whether it’s an inspiring rescue story or the back-end ways these rescues are helping their wild cousins, find out what makes these über furry seals with the surprisingly long flippers so special. 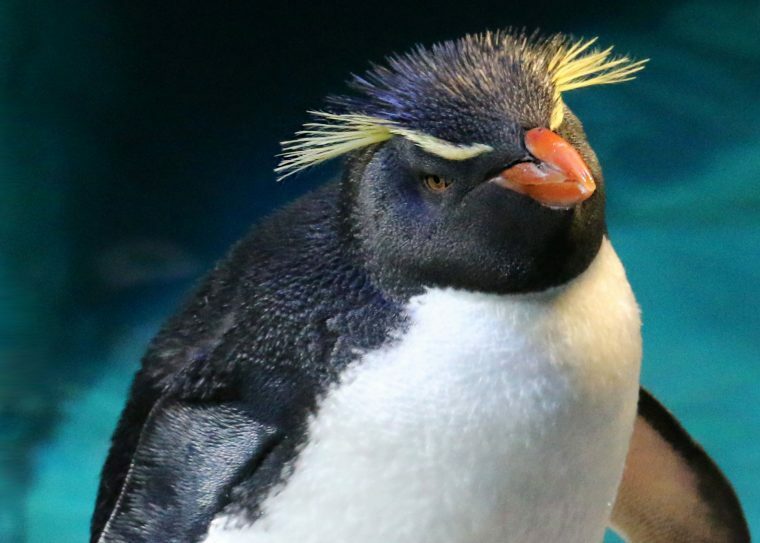 Acrobatic and lithe, intelligent and unique, they’ll splash their way into your heart as you learn how scientists—and the Aquarium—are working to help protect this extraordinary species. 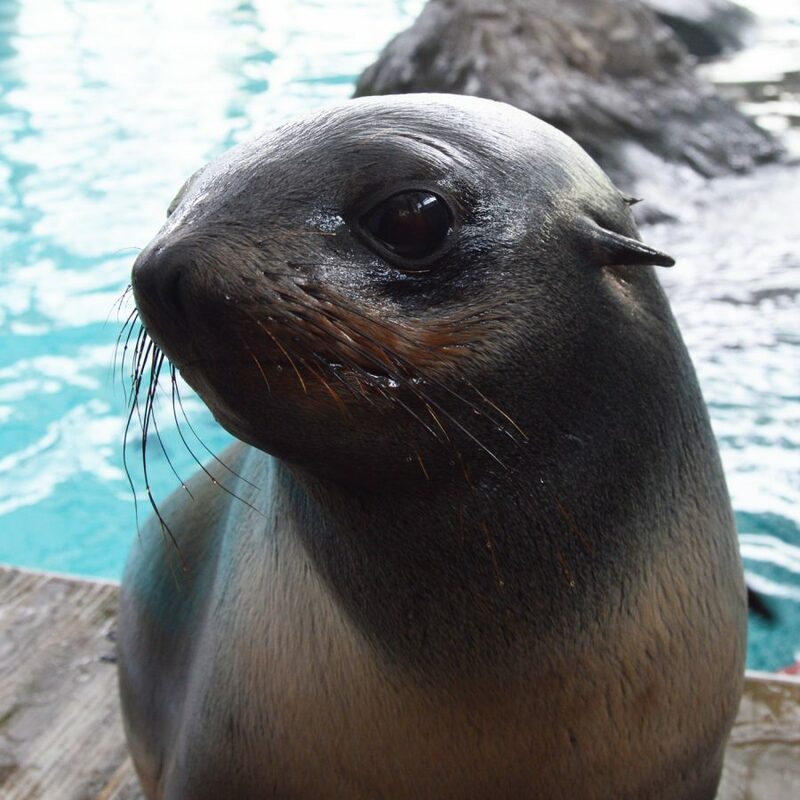 Our scientists at the Anderson Cabot Center for Ocean Life are studying the hormones in feces—yes, poop—to better understand northern fur seal physiology. While you marvel at the seals swimming and playing, you’ll also learn how this researcher and studies around the world may one day help protect this vulnerable species in the wild. Northern fur seals hail from the chilly North Pacific and Bering Sea. They have some amazing attributes that help them thrive in such harsh climates. From their über furry coats to their abilities to thermoregulate while sailing the high sea, they are a fascinating species worthy of a closer look. There are three fur seals in the exhibit, and each has a unique personality. Come visit and watch a session to learn how the trainers and veterinarians work together to give these amazing animals the best care possible—and plenty of time to play. Fun Fact: Kitovi is named after a northern fur seal rookery on St. Paul Island, Alaska. Really Fun Fact: She enjoys back scratches from her trainers and playing with many kinds of toys. One of her favorites is chasing a ribbon pulled along the surface of the water, similar to the way seals chase fish (or maybe how your cat chases a ribbon). Arrival: The Alaska Department of Fish and Game found Chiidax on its doorstep, very far from any of the rookeries where fur seals gather and pups are born. He was an underweight newborn that had to be hand-raised. This meant he was not able to be released. 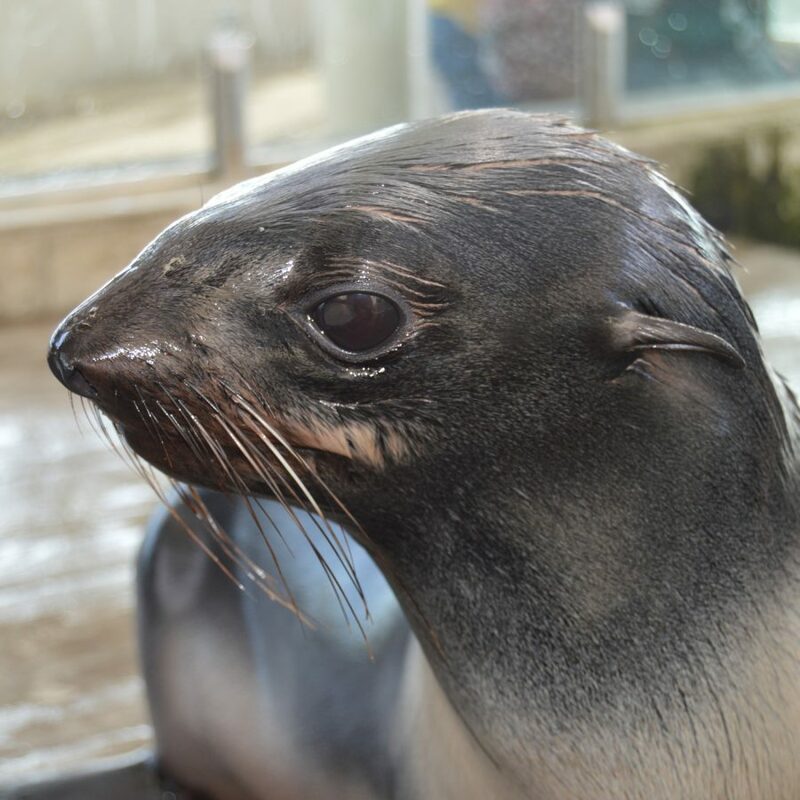 To provide him with the companionship of other fur seals, he came to the New England Aquarium, where he will participate in a northern fur seal breeding program. Fun Fact: His name is pronounced “chee-dack” and means small, young animal in Aleut. Really Fun Fact: Currently weighing in at 125 pounds, Chiidax will weigh as much as 600 pounds at his peak weight. Arrival: She was rescued off Laguna Beach in California as an underweight young pup. 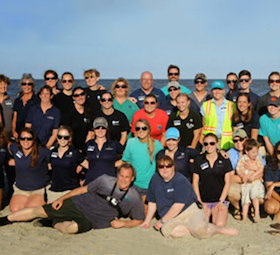 Unable to be released, she joined the New England Aquarium fur seal colony in 2016. Fun Fact: She is named after the beach where she was found. 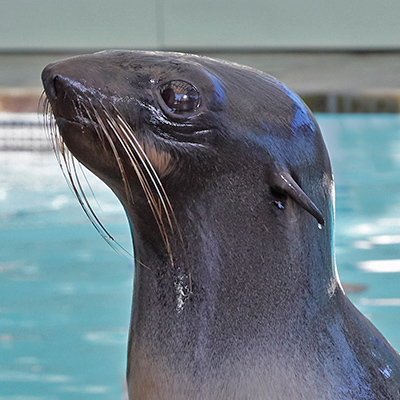 Really Fun Fact: Luna is our only fur seal who has mastered staying afloat on a 4-foot-wide circular float in the New Balance Foundation Marine Mammal Center. It is similar to jumping on an ice floe. The trainers sometimes give her a spin on the disk! In fact, she often plays with the trainers, her food, the other fur seals, and the growing seal lion pup Ron. 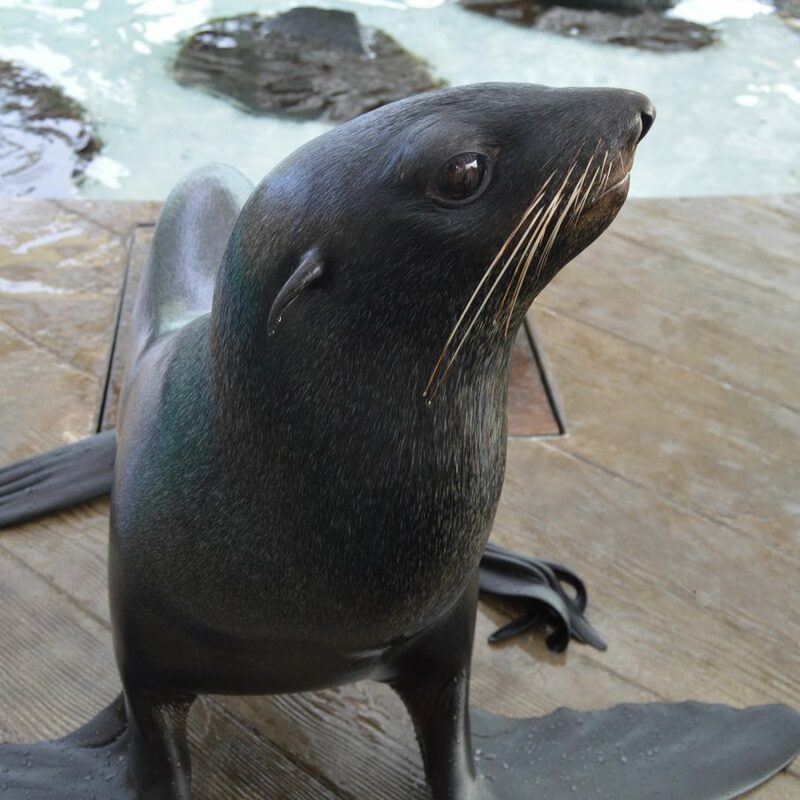 Visit the Aquarium this spring and get to know your friendly neighborhood fur seals like never before!